Right and left.... right and left.... the pocketwatch flickers to the side like a slow-moving pendulum. The vixen's words become soft... yet at the same time demanding. 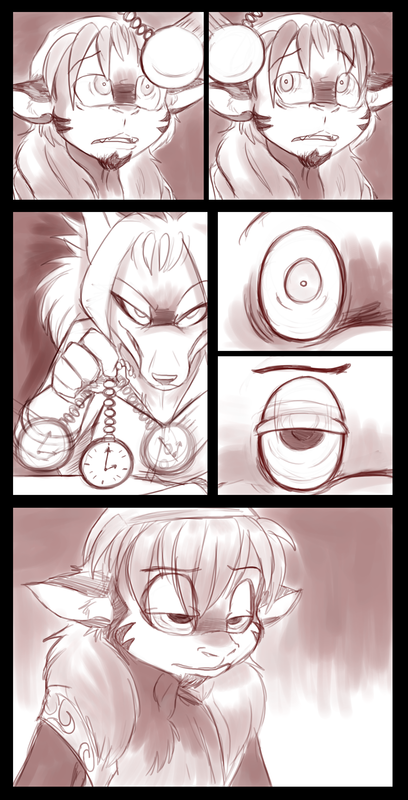 Slowly his eyes begin to droop, his head bobbing as he listens to the words of the vixen. Another page by Kayla! Featuring a simian character I made and a vixen belongs to Blaze Fin.